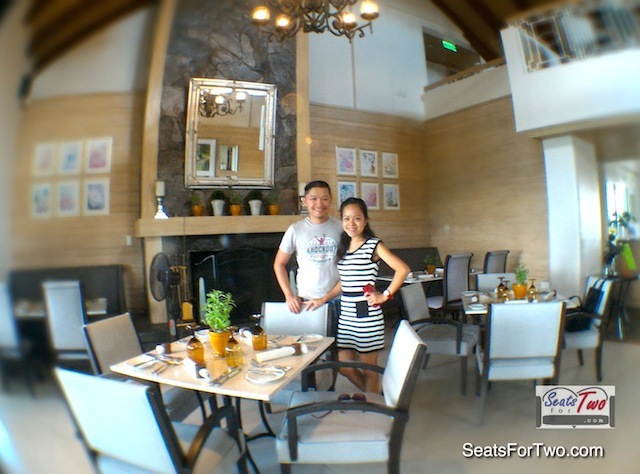 Seats For Two was invited in another food tour hosted by SM Megamall to celebrate the much-awaited Madrid Fusion. If we were not mistaken, this could be our 3rd Mega Fashion Hall Food Tour since the grand launch of Mega Fashion Hall. How can we forget the very first food trip we had where we dine in 12 restaurants in one night. This time though, the highlight was a cooking demonstration in lieu of the upcoming Madrid Fusion. 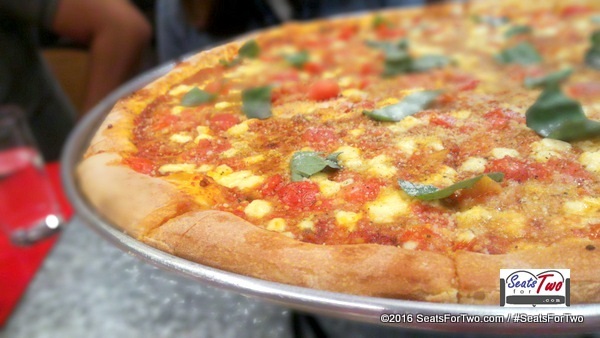 This time, we got to try five restaurants still at Mega Fashion Hall. We started at French Baker’s Salon De The located at the ground floor. 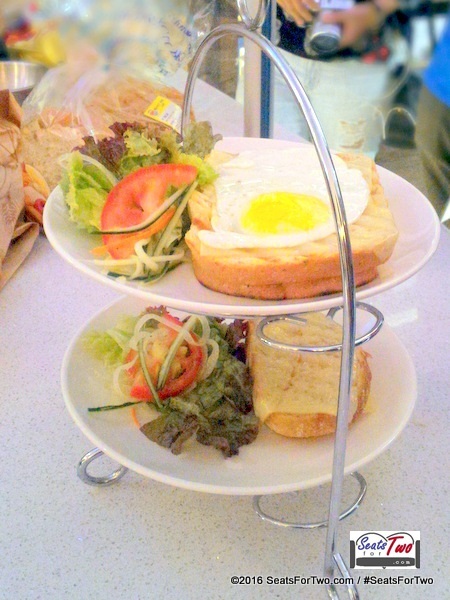 This chic cafe and restaurant offers freshly baked and tasty sandwiches, pastries and cakes. 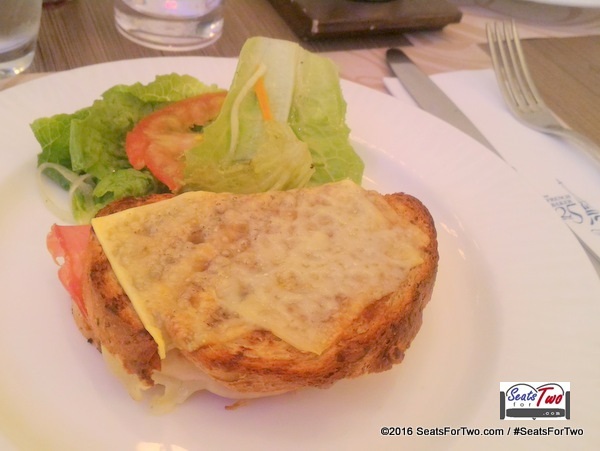 Mr. Johnlu Koa himself showed us how to prepare two French sandwiches, croque monsieur and croque madam. The sandwiches were really good, tasty and filling. As much as we wanted to stay and enjoy the cozy ambiance at Salon de The, we have to move to our second stop which was the Vikings. 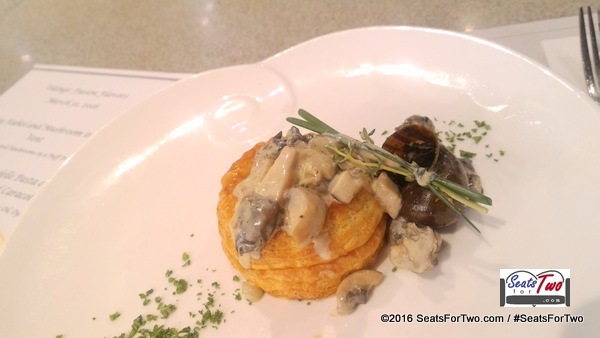 We eat not-like a Vikings though because we have several resto to visit but Chef Ana Go served us savory and creamy dishes from Creamy Kuho and Mushroom in Vol Au Vent, Homemade Pappardelle Pasta on Aglio Olio, Oyster and Caracol to Exotic Cannoli for dessert. 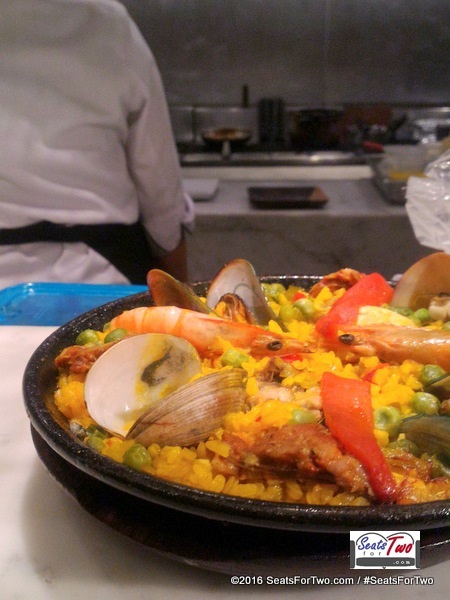 Chef Sonny Mariano whipped up their specialty – Paella. We ended our wonderful meal with Churros paired with Valor chocolate. It was such a treat. 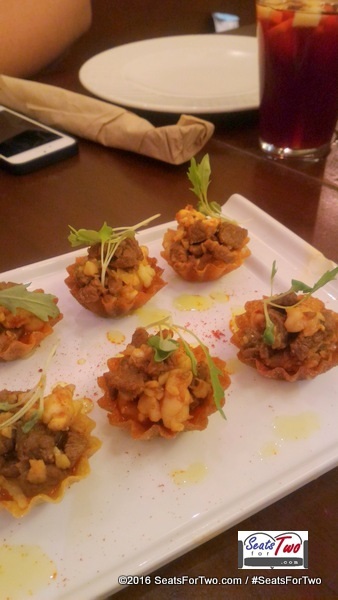 Mouthwatering Filipino dishes were served at Abe restaurant. 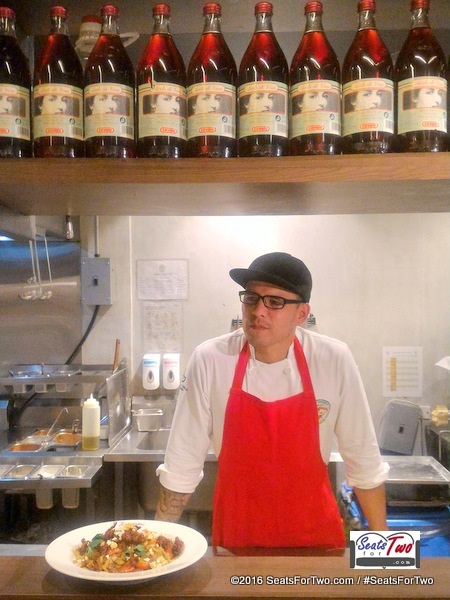 We were already full when we reached Linguini Fini but enjoyed watching Executive Chef Daniel Lachica prepared and cooked some of the Linguini’s best sellers including the huge pasta. The Mega Chef Food Demo was graced by Corporate Chef George Lizares of Abe, Chef Sonny Mariano of Alqueria, Chef Baker Johnlu Koa of The French Baker Salon de Thé, Executive Chef Daniel Lachica of Linguini Fini and Chef Ana Go of Vikings. Overall, it was a tummy-filled and fun gastronomic adventure.